Victoria’s Quilt. 40″ x 50″ commercial and hand-dyed cottons. “Converging Corners” block. I made this baby quilt for my brand new grand-niece Victoria. The block pattern is “Converging Corners”, by Film in the Fridge . 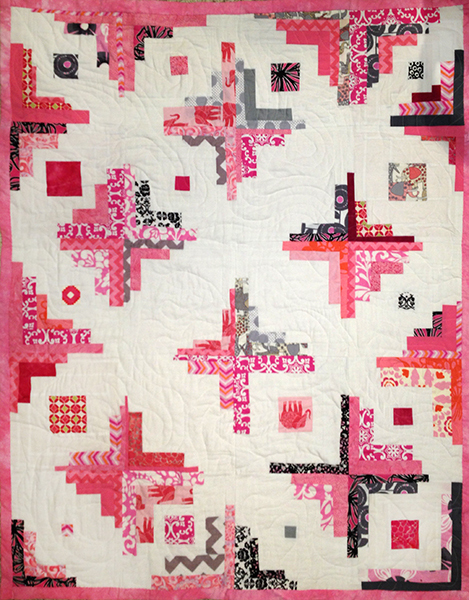 The Modern Quilt Guild I belong to introduced me to this block, and I thought it was the perfect combination of fun and modern but not too funky for a more traditional space. I recently learned the Nui and Arashi Shibori techniques of resist dying. I loved the resist patterns and fell in love with magical indigo dye! 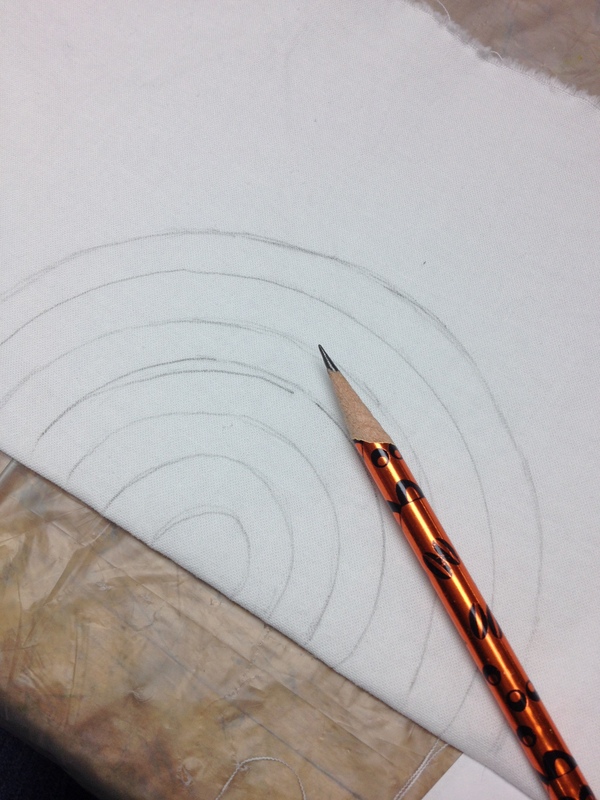 Stitching along the pencil lines with strong thread. 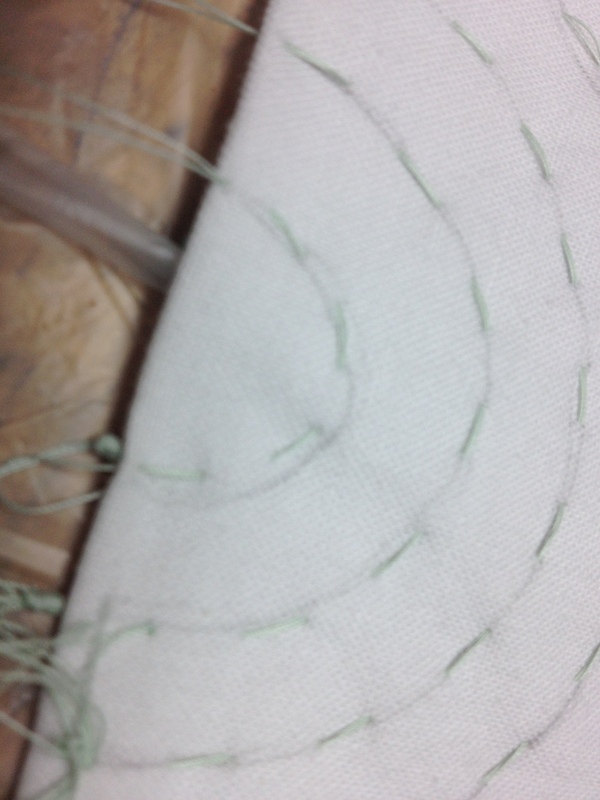 We used doubled hand-quilting thread. Checking the “flower” on the indigo. Notice the greenish color – that means it is still active! Submerging the piece for 2-3 minutes, moving constantly. Notice the green color! A second technique, “Wind-driven rain” Arashi Shibori. “Arashi” is the Japanese word for storm. The cotton is sewn into a tube that *just* fits over a pvc pipe. The fabric is scrunched tightly before submerging in the dye bath. The fabric has just been taken off the pipe. The oxidation that turns the green to blue is still in process. The most beautiful green blues appear and disappear before your eyes. Magic!